Board certified in Pediatrics; University of Utah School of Medicine. Residency in Pediatrics (University of Massachusetts Medical Center) and General Surgery (Maine Medical Center). Family Medicine: Mark Cardinal, M.D. • Kimberly Donohue, M.D. • Paul Ebbert, M.D. • Garth Reber, D.O. Pediatrics: Richard Barnes, M.D. 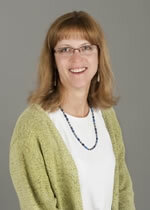 ▪ Jacqueline Nelson, M.D. Internal Medicine: Clint McMahill, M.D. • Gentian Scheer, M.D. Surgery: Tony Lowham, M.D. ▪ Orthopedic Surgery: John Whipp, M.D. Clinic: The student would see patients with an assigned physician at both IHS clinics and physician practices in Lander. During the rotation the student would be expected to see the patient and independently provide assessment and care of the patient. Over the course of the rotation they would be able to follow the development of newborns and manage a wide variety of disease processes. Depending on the student they could do home visits, function as a part of group visits and contribute to the chronic health care clinic. There is the opportunity to go on home visits with the social worker and/or public health nurses on the Wind River Indian Reservation. 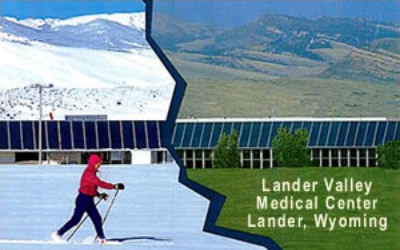 Hospital: Lander SageWest opened in its present location in 1983. It is a progressive medical facility catering to a sophisticated market. Many factors contribute to making Lander SageWest stands out among other similar-sized hospitals: a dedicated staff that serves a number of specialized units including a full-time Level II emergency room, Level II nursery and a behavioral health program; state-of-the-art medical equipment such as a Magnetic Resonance Imaging (MRI) unit and a Stereotactic Breast Biopsy unit; and a remarkable number of physician specialists including neurologist, otorhinolarygologist (ENT’s), and a general surgeon. The 81-bed facility is part of Life Point Hospitals, Inc., a nationwide provider of healthcare services. The hospital is fully accredited by the Joint Commission on Accreditation of Healthcare Organizations, is licensed by the State of Wyoming, and is approved for acceptance of Medicare patients. Lander Regional Hospital is the first hospital in the state to be approved as a provider under the Wyoming Breast and Cervical Cancer Early Detection Program. This program allows persons who would ordinarily not have access to screening and diagnostic testing the opportunity to take advantage of these services at little or not cost. Nursing Home: Westward Heights Care Center is located at 150 Caring Way, Lander, WY. This is a non-profit 60-bed facility; Morning Star Manor is at 4 North Fork Road in Ft. Washakie: 50-bed facility. Recommend flying in and out of Casper, WY. 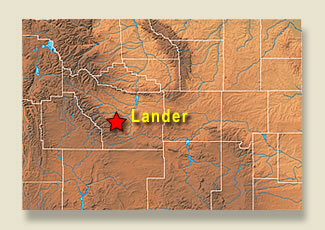 The City of Lander, Wyoming would like to welcome you to Lander and the surrounding areas. 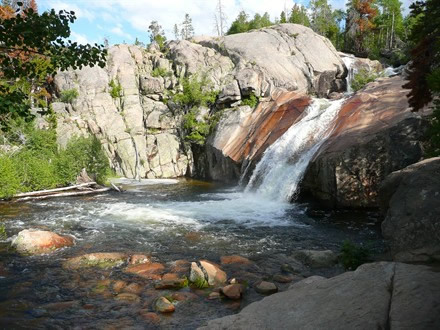 There is a wide range of recreational opportunities including Sinks Canyon State Park that is located within seven miles of Lander offering beautiful scenery and the mystery of seeing a river disappear into the side of the mountain. You will find the historical South Pass City and Atlantic City thirty miles south of Lander and reminisce about the late 1800’s and the gold rush. Lander, WY is a blend of the Old West and the New West surrounded by the foothills of the eastern slopes of the Wind River Mountains. Rodeo as a spectator sport was born in Lander. Over 109 years ago the first paid rodeo in the world was staged in Lander, and continues today. Lander Pioneer Days is one of Wyoming’s biggest 4th of July events. There are frequent powwows and religious sundances during the summer on the Wind River Reservation. If you are looking for recreation, reliving history, entertainment, relaxation and scenic beauty or just plain fun, Lander has it all. Lander, Wyoming (WY) is located at the base of the Wind River Mountains, 5,300 feet above sea level. Between 250-300 days of brilliant blue skies and illumination from the sun is the benefit from such a high elevation. During the summer months, residents and visitors enjoy warm, dry days with cool nights for comfortable sleeping.